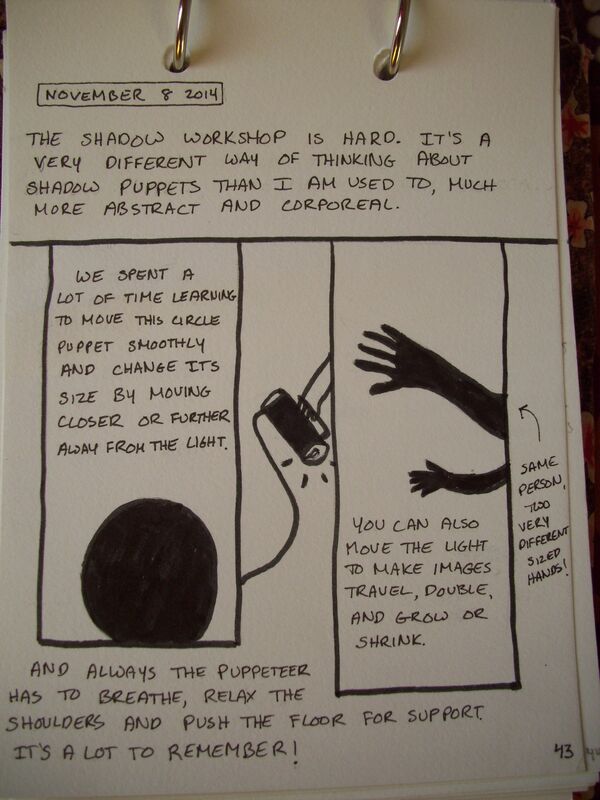 I was lucky enough to take a workshop with shadow puppet artist Gabriel von Fernandez when I was in Argentina back in November. Based in Buenos Aires, Gabriel performs his own shadow puppet shows and teaches workshops to artists at all levels. Here is a page from my journal about my experience working with him. This entry was posted in Inspiration, Puppet Building, World and tagged Argentina, Buenos Aires, Gabriel Von Fernandez, puppet building, shadow puppetry, workshop by ccbooks. Bookmark the permalink.